the FOMC meeting with the rate announcement today is the most influential factor for EURUSD. 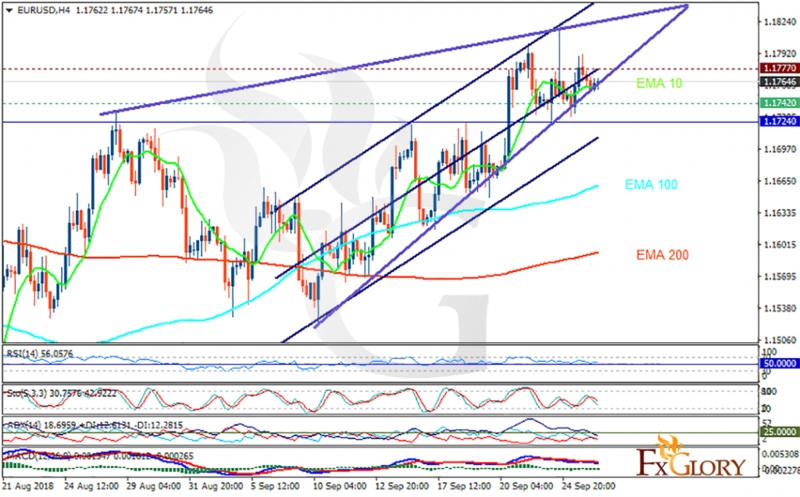 The support rests at 1.17420 with resistance at 1.17770 which both lines are above the weekly pivot point at 1.17240. The EMA of 10 is moving horizontally in the ascendant channel and it is above the EMA of 200 and the EMA of 100. The RSI is rising towards the overbought area, the Stochastic is showing downward momentum and the MACD line is below the signal line in the negative territory. The ADX is showing buy signal. 1.18 level is showing a strong resistance area; the chart has created a rising wedge therefore there would be a high possibility of price decline towards 1.16 area again.